Along with legendary crooners like Frank Sinatra, Dean Martin, Nat King Cole, Sammy Davis Jr. and Bobby Darin, the great Johnny Mathis recorded some of his very best songs for Sony Music's Columbia Records. In a bold move by Collectors' Choice Music to re-release the material from Sony-- they decided to "reissue virtually ALL of his ‘60s albums that have never been on CD before." And to this end they selected ten best-selling classic works that the company then divided in half to pair together in five unique 2-CD sets. 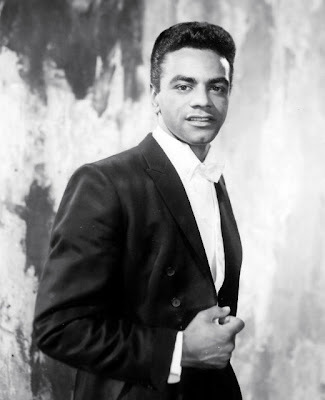 Having hit stores and online retailers this week on June 9, Collectors' Choice debuted this all-new collection to fans, augmenting the stellar Columbia records from Johnny Mathis with "detailed liner notes" penned by James Ritz as well the original cover art of the records included in each booklet. I’ll Buy You a Star/Live It Up! Of the ten albums we’re reissuing, I’ll Buy You a Star is the only one that’s come out on CD before, but we had to include it because it made such a perfect pairing with Live It Up! Why? Because both of them boast arrangements by the great Nelson Riddle! Another perfect Mathis pairing, these 1962 and 1963 albums both featured arrangements by the legendary Don Costa, and both soared to the highest reaches of the charts. These 1967 and 1968 albums marked Johnny’s triumphant return to the Columbia label from Mercury, where he spent the middle part of the decade. They also marked a shift in his repertoire away from the standards that had dominated his previous Columbia albums towards more contemporary material, whose familiar melodies take on a whole new sheen when burnished by Johnny’s ethereal tenor. Johnny Mathis doing a Doors tune? Yup—and doing it well, along with a host of other late-’60s pop favorites on these 1968 and 1969 albums. Robert Mersey, who arranged Johnny’s previous two Columbia albums, conducts on Those Were the Days, while the great Ernie Freeman takes up the baton on Love Theme. Johnny’s warm, mellifluous interpretations on these two 1969 albums will make you hear these songs in a whole new way, even if you’ve heard them hundreds of times. A good example is his dramatically slowed-down reading of “Sunny”; the contemplative, even wistful tone of his performance really gives the “dark days” of the song’s lyrics equal weight to the bright ones, an insight usually lost in the song’s breezier interpretations. Due to time constraints, I wasn't able to review the albums in great detail but Collectors' Choice Music was kind enough to send the passionate duo of Rapture/Romantically my way. And having always had a reverence for the classic albums produced for all the greats at Sony's Columbia Records including Frank Sinatra whose Classic Sinatra II which consisted entirely of his vintage Columbia studio session I reviewed earlier in the week, I was thrilled to explore the Mathis works as well. With both albums conducted and arranged by Don Costa to enormous success with record buyers in '62 and '63 respectively, they flow nicely into one another and feature everything from numerous Rodgers and Hammerstein tracks on Romantically to more intense works like the titular "Rapture" on the first album. "I Was Telling Her About You"
"Lament (Love, I Found You Gone)"
"Love Me As Though There Were No Tomorrow"
"In early 1956 a young man was faced with a life-altering dilemma that could have had dire consequences had he not chosen the right course. Having been a star athlete in both high school and college, he was invited to attend the trials for the U. S. Olympic track-and-field team. But he was also blessed with a unique voice and vocal style that caught the eye of Columbia Records executives and was asked to come to New York to begin work on his first recording session. "Prompted by his father, 21-year old John Royce Mathis chose the latter and passed on his opportunity to become a member of the Olympic team, opting instead for a chance to break into the uncertain world of popular music. A half-century later he has yet to look back. 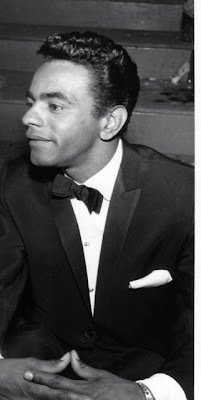 "Over the course of those 50+ years, Johnny Mathis has sold several hundred million records and has become one of the most beloved voices in popular music. Over the span of his first three decades he charted nearly four dozen singles on the best seller charts, including such seminal romantic ballads as "Wonderful! Wonderful!," "It’s Not For Me To Say," "The Twelfth Of Never" and "Chances Are" (his first of two #1s). 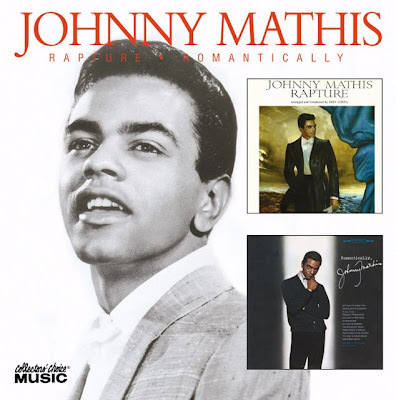 But Mathis’ real staying power has been as an album seller; his Johnny’s Greatest Hits (the record industry’s FIRST greatest hits package) alone stayed on the charts for an incredible 9 ½ years and by most accounts next to Frank Sinatra, he’s been the most consistent album-seller of the modern era, having recorded upwards of 75 original collections."